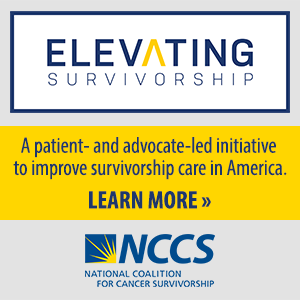 Cancer survivorship is a day-to-day, ongoing process that begins with your diagnosis and continues through the rest of your life. Living Beyond Cancer discusses a number of important issues that are specific to life beyond the diagnosis and initial treatment of cancer. Surviving cancer is more complicated than simply being sick or well, having cancer or being cancer free. Instead, it is a continual process that is constantly changing. There may be times when the joy you feel about survival far outweighs any anxieties you may have. Then, there will be times when your fears and uncertainties seem to take over your life, and you wonder if you will ever feel normal again. Download the Cancer Survival Toolbox free from our online store. The Cancer Survival Toolbox is available free as a podcast on iTunes. Journey Forward offers an electronic Medical History Builder where patients can record their health history in a format that makes changes easy and avoids the need to fill out medical history forms repeatedly. My Care Plan is a complimentary patient-oriented tool that captures and delivers the individualized information patients, their primary care providers, and other healthcare professionals need to ensure effective survivorship care.